Museum of vintage color reel to reel video recorders. Open reel colour antique video recorders. most important pages. Hope you find it interesting. 1971. 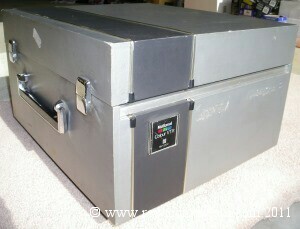 A pair of Shibaden SV-620 E reel to reel colour video recorders. 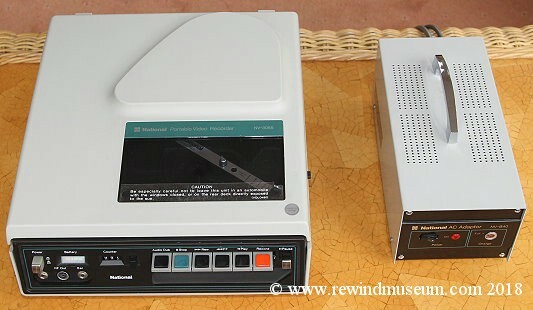 With a pair of Shibaden SV-62 E recorders, video editing would have been possible. The right hand unit has an addition section at the bottom. This is an electronic editor. 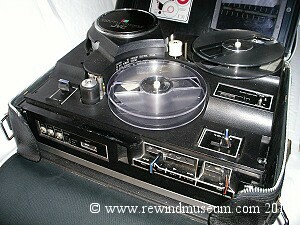 Many Shibaden reel to reel recorder were used in schools and colleges in the UK at that time. 1974. JVC PV-4800U portable reel to reel colour video recorder. cassette based portables that came later. 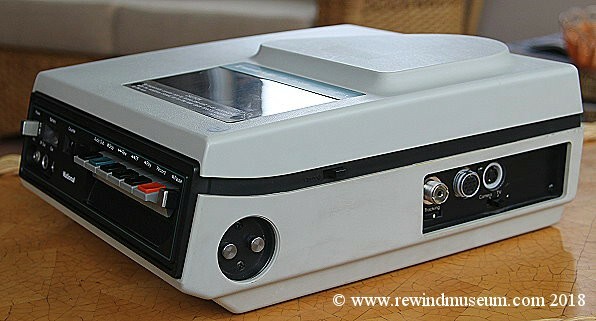 The 1974 JVC Color Video Camera GC-4800U Power supply and Color Unit were designed to accompany this recorder. 1974. 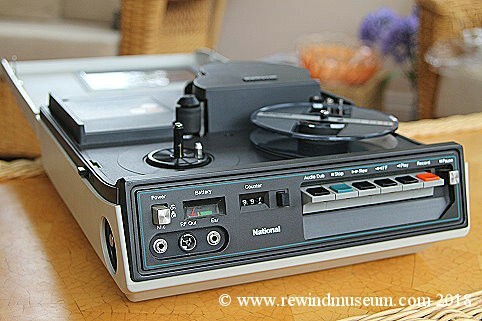 Panasonic NV-3085 portable reel to reel colour video recorder. 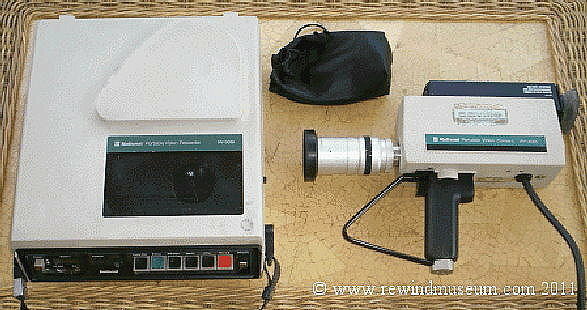 This kit comes with the WV-3085 colour camera and optional adapter. were quite a bit larger and heavier than this unit. The camera is in it's original packaging. 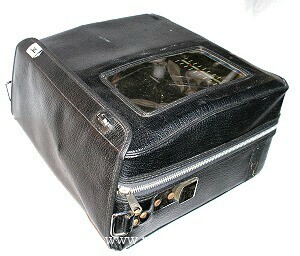 There is also a leather case (not shown) for the VTR ut the condition on the case is poor. above - both units produced at about the same time. 1975. 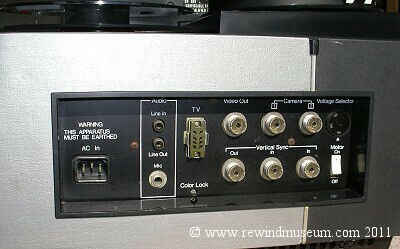 Sony AV 5000 reel to reel colour video recorder. Sony's big mistakes! Sony decided to release this unit using an early version of the EIAJ standard. 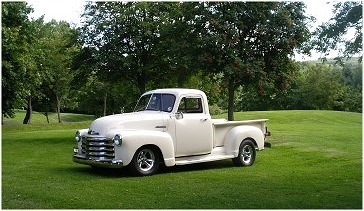 other 5000s. 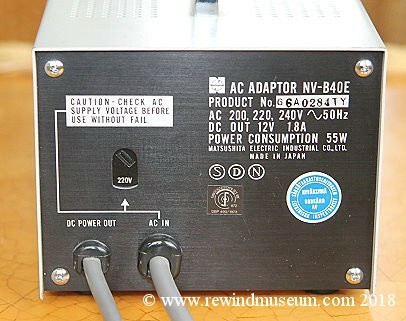 An AV 5000A was also released with some improvements but this is an original 5000. It is a rare VTR and we are very pleased to have it in the museum. monitor. 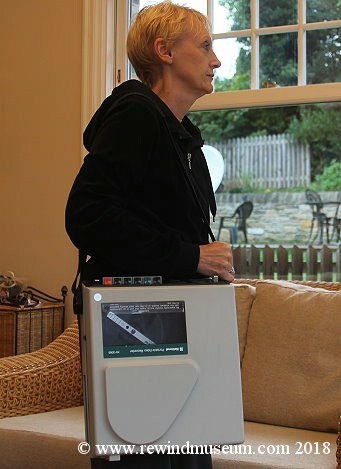 Big heavy and no doubt expensive but a very high quality piece of kit. 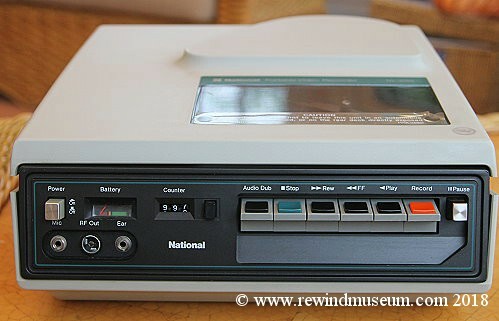 The first domestic reel to reel video recorder, the Sony CV-2000. 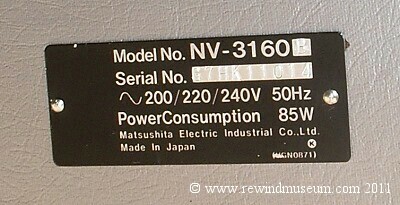 This is part of a CV-2010 unit. 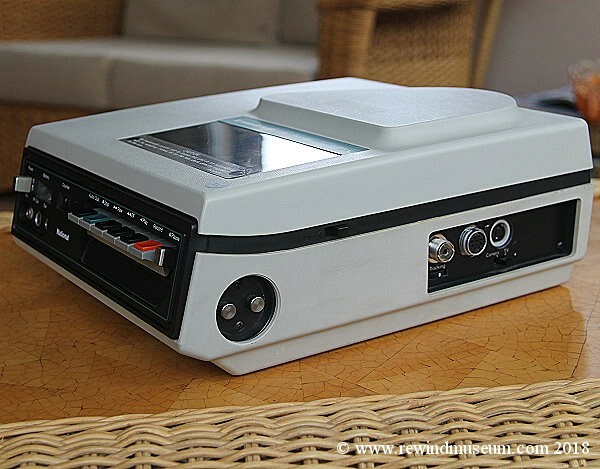 Also the first ever portable reel to reel video recorder, the Sony Rover 2400 with case and camera. 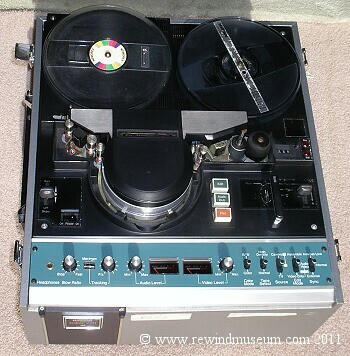 The second portable reel to reel video recorder, the Sony Rover 3400 with leather case camera & power supply. 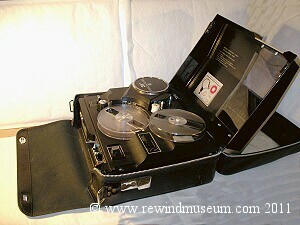 The third portable reel to reel video recorder, the Sony Rover 3600 with leather case camera & power supply. 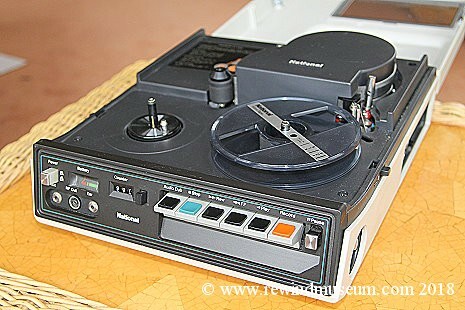 Also the National (Panasonic) NV 3030 E1 reel to reel video recorder.